This past week Andrea had her Wine Divas ladies get together and the kids didn't want to go to bed with all the activity in the house. I told them that they could both lie down together in Connor's room and surprisingly it worked and they both stayed quiet and fell asleep. I had to take a quick picture before I put Paige in her bed. 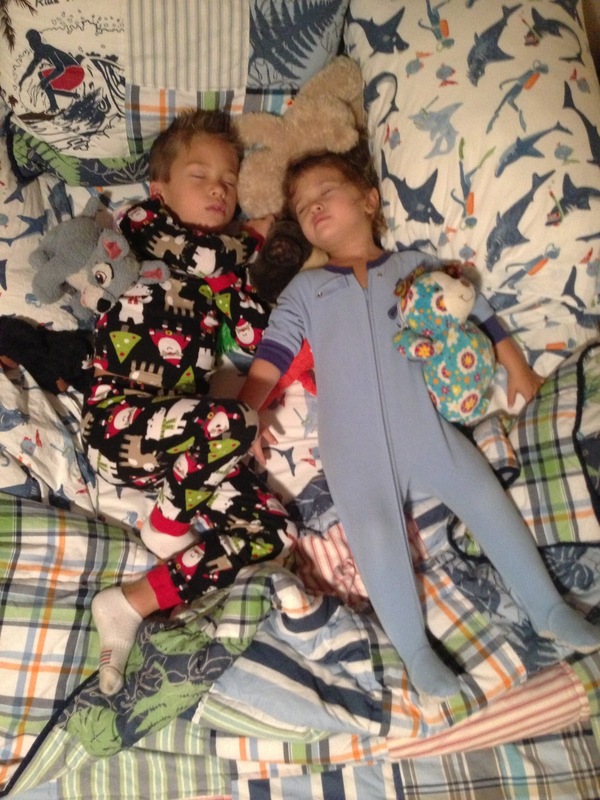 They looked so sweet sleeping together.